A series of dark, winding tunnels network directly below Budapest. Filled with mystery and dark history, the Buda Labyrinth is rumored to be one of the most haunted places in Budapest. Entrance into the haunted, underground tunnel system of Budapest, Hungary. The Buda Labyrinth is a naturally formed tunnel system that spans directly beneath the grandiose Buda Castle. The tunnel and cave system has been used by people for many years as shelter and storage. There have been tools and artifacts discovered in the cave system suggesting it has even been used since ancient times. 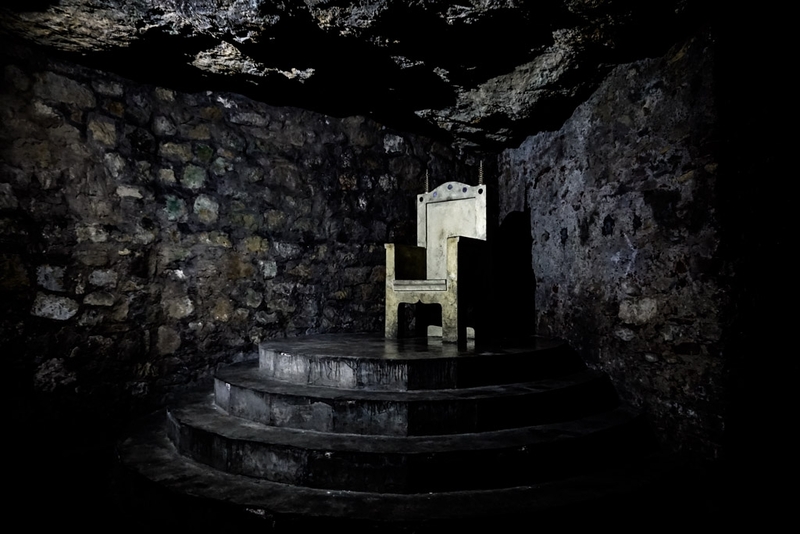 Throne on display inside the Buda Labyrinth. More disturbingly and recently the tunnel system has been used as a torture chamber, prison, dungeon and war-time shelter. It is the darker uses of this tunnel system that are of interest to this article. Due to these uses, it is believed that residual energy has been left behind. Consequently leading to paranormal occurrences within the tunnels. 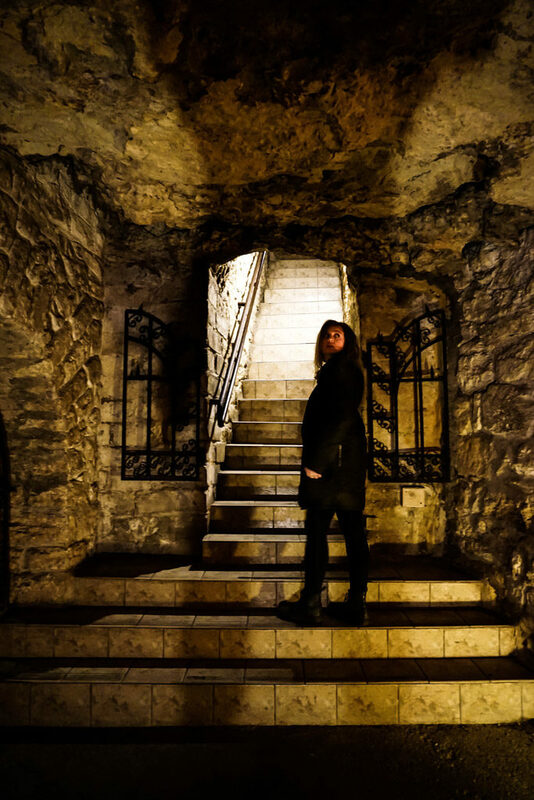 Exploring subterranean Budapest and the Buda Castle Labyrinth. Many ghost stories exist about the Buda Labyrinth. There have also been many instances of unexplainable phenomena occurring in their dark, dank depths. It, therefore, makes sense that death has been experienced within the Buda Labyrinth. 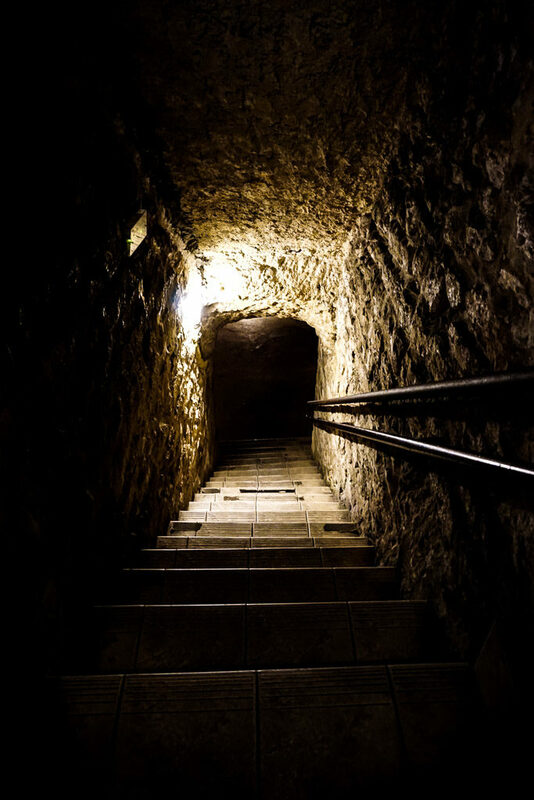 Several female skeletons, dating back to the 15 or 1600s, were discovered within the tunnel system. It was believed that these bodies had been disposed of in a well during a castle take-over. Additional skeletons were also found at one of the entrances to the Buda Labyrinth. These are thought to belong to a Turkish Harem. Dark underground tunnel of the Buda Labyrinth, directly underneath Budapest. 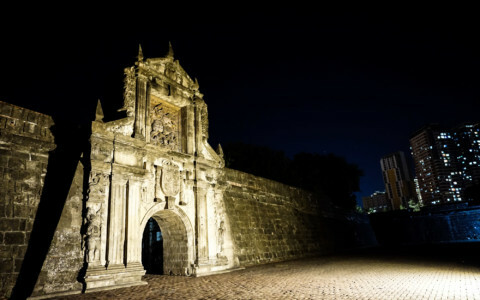 Many people believe that it could be the ghosts connected to these skeletons thought to roam the winding Buda Labyrinth. Lost and looking for a way out. However, they aren’t the only ones thought to be responsible for the Labyrinth’s paranormal activity. Many believe that the victims of torture conducted within the tunnel system also remain trapped. It is even rumored that Vlad Tepes (Vlad the Impaler and the real-life inspiration for Dracula) was imprisoned in the Buda Labyrinth. Some claim, his ghost resides within the tunnel too. Even though, it seems he also haunts another place he was imprisoned at Corvin Castle. 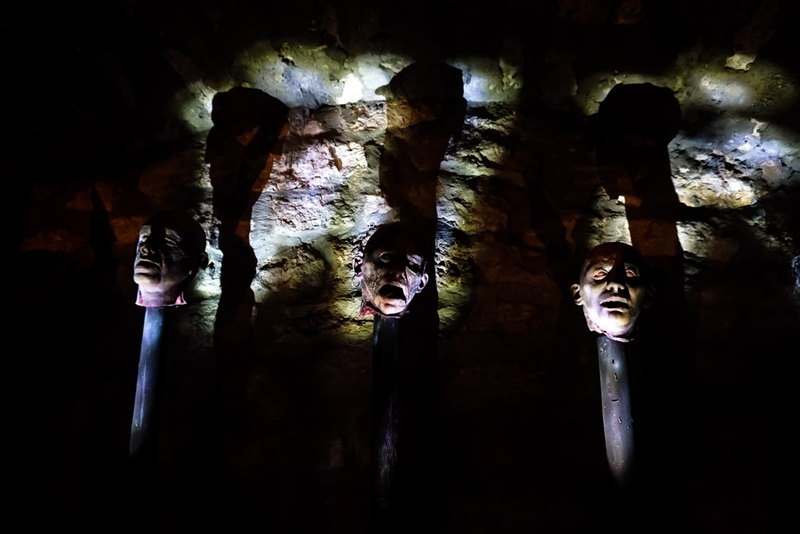 Impaled heads on display in the Buda Labyrinth. A tribute to the tunnel systems having supposedly held Vlad the Impaler prisoner. 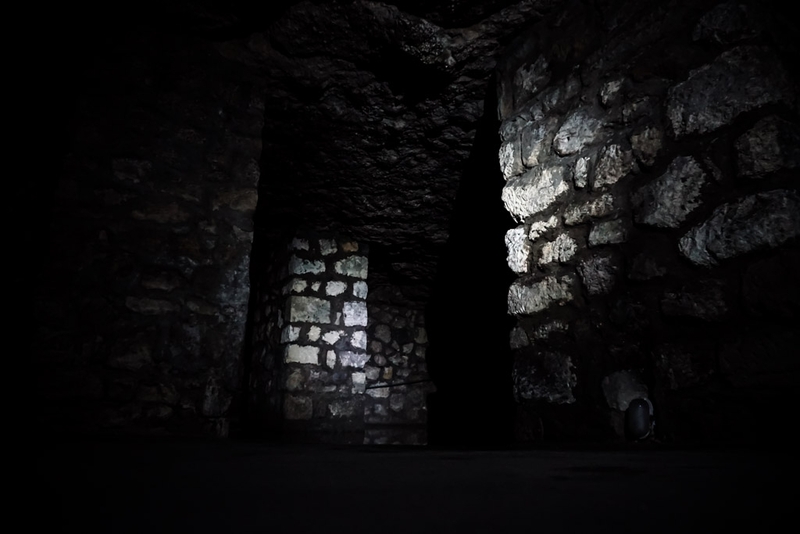 One section of the Buda Labyrinth has been turned into a creepy challenge for visitors. 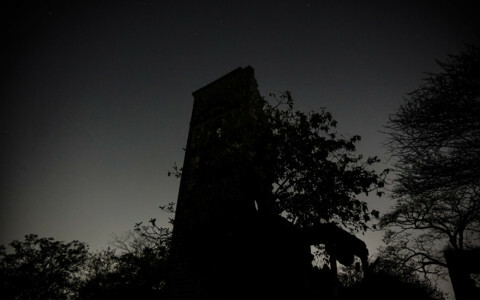 It is rumored to be the place where paranormal occurrences concentrate. Those brave enough to pass through must do so in complete darkness. Disembodied voices, apparitions, screams and reports of meeting Doppelgangers in this area exist. 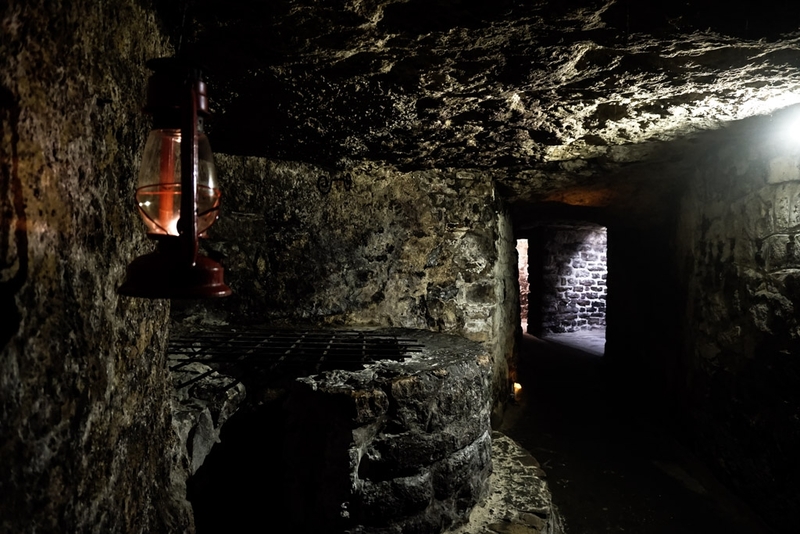 A lantern hangs in the haunted Labyrinth of Buda Castle. One final, odd story about the Buda Labyrinth exists. In 2011, the tourist attraction was suddenly raided and evacuated by Police. The Labyrinth was consequently closed for quite some time. It is likely that there was some form of emergency or bust that occurred. However, many speculate it could be something unexplainable that was discovered deep in the caverns of the Buda Labyrinth. 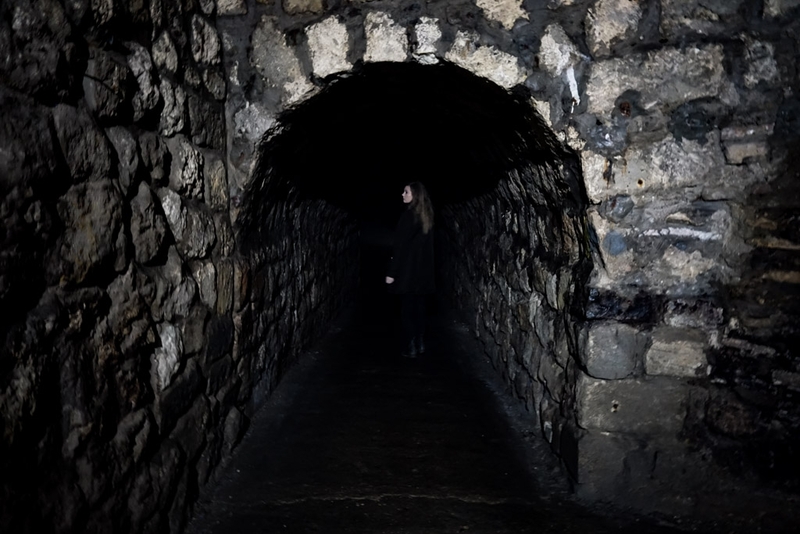 The dark tunnels that live below Budapest Castle. The Buda Labyrinth has been re-opened to the public and is an interesting tourist attraction. 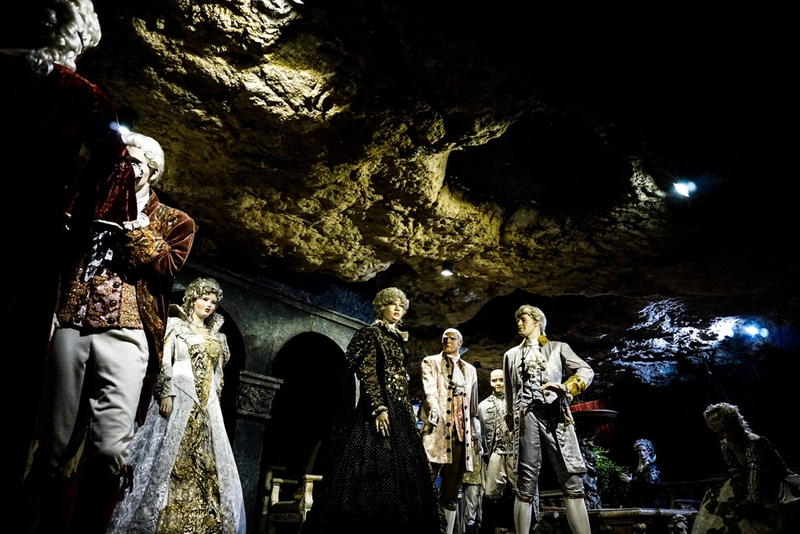 It has been heavily marketed to tourists interested in the legends of Vlad Tepes and is themed inside to match these spooky Dracula associations. The attraction is filled with interesting displays and themed exhibits. It contains spooky history as well as mannequins sporting costumes from the Budapest Opera. One of the many creepy mannequin displays on show at the Buda Labyrinth. 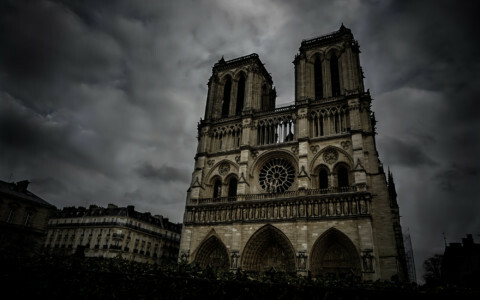 If you enjoyed this article and are looking for other spooky places related to Dracula. I recommend checking out his actual castle, Poenari Fortress.